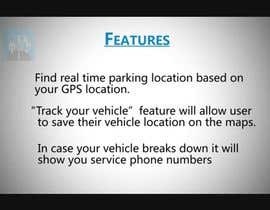 •	Find real time parking location based on your GPS location and get directions to that particular parking location. 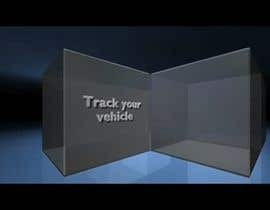 •	“Track your vehicle” feature will allow user to save their vehicle location on the maps and then in real time will show you the directions from your gps location to the place where you have parked your vehicle. •	In case your vehicle breaks down it will show you contacts of the car towing service phone numbers whom you can call directly. •	In case your vehicle Tyre gets punctured it will show you contacts of vehicle puncture service. •	You can set reminders when your PUC license, Insurance or Vehicle license gets expired. •	Contact us via Facebook, twitter and YouTube. •	All parking locations in the app are currently for the City of Mumbai , will soon be updating new locations. i have also attached an apk file for your reference. Use screenshots from the app in the video. 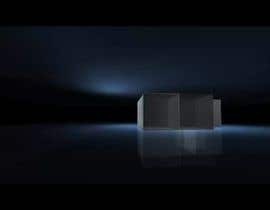 Hi Any update from your end on the video? Can you please pay more for this job? It will give you more videos to choose from..
No i just want a simple video , if you can create one i would appreciate it. Could you up your prize to something a little more than 900... with all do respect, we are going to provide you with a numerous amount of videos to pick from, for only 900 and we are all working for you. Logo has been uploaded please see the attached file in the attachments section of the contest.